The Army has objected to opening of over dozen roads in cantonments despite the ministry of defence order to open all roads to the public. Ministry of defence, on May 20, 2018, issued an instruction to the Army to open around 70 cantonment roads. The decision to open the roads in cantonments was taken after a detailed review with elected representatives of cantonment boards, department of estate, ministry of defence and the Army. Cantonments have military and civilian population, and is different from military stations. "The Army has some reservations over opening of some roads and majority of them are in the jurisdiction of the Western Command. These roads will remain closed,"said a defence ministry official. The move to open cantonment roads created a lot of unrest among the armed forces fraternity. Veterans and family members of serving personnel raised the issue by highlighting security concerns to the families living in the cantonments. Army headquarters came out in defence of the ministry's decision, saying, "This is a deliberate, calibrated and monitored exercise." 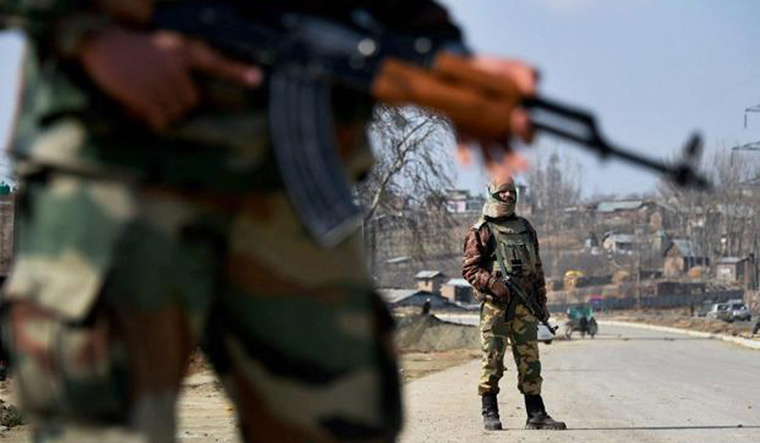 On May 28, the Army itself came out with a detailed statement, which said some roads were 'unilaterally' kept closed for very long periods and a review was essential. "A number of iterations were carried out with all stakeholders where views expressed by all concerned were deliberated upon. After giving due thought to the likely implications on the opening of roads, a considered decision was taken to open roads in military areas for one month and thereafter review the nature of traffic passing through these areas. Decision on opening or closure of roads will be taken after a feedback from Local Military Authorities (LMA) on whether roads can be opened for civil traffic, completely, selectively or as in the past," the Army said in its statement. Defence officials believe that cantonments came up during the British era and were exclusive areas where service personnel and their families resided. Over the years, cities have expanded and a large number of civilians now reside in close proximity of cantonments. "Some of these civilians provide essential services to military personnel and their families, while others find the environs of military areas conducive to settle down. Whilst the passage through cantonments to civilians who give support to military personnel is provided for mutual benefit, the others who are denied the passage feel aggrieved. The latter have often raised the issue of closure of roads through cantonments which facilitates access to their residential areas." Officials added that the aim of opening roads in cantonments is to streamline the process of closure where required after carrying out assessment of the nature of traffic moving through cantonments by following due procedure. "Freehand has been given to the LMA to close and control access to the cantonments when there is actionable intelligence input or in case of emergencies,"official said.